Hey all, I am up with a simple card at the Uniko, with a step by step to show you the process. I have used the freebie Bev had offered a few days back, these framed spring blooms look stunning, so I had to give ago. 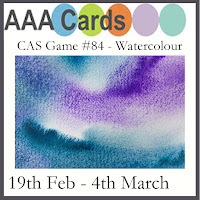 Here is the card, please hop over to Uniko to read about how this card was made. Beautiful Springtime card...love, love the pretty daffodil and background!! Thank you for joining our challenge at Double D! WOW! This is SO PRETTY! Nothing says springtime like daffodils! Love your overall design and that background is perfect! Thanks so much for joining in the fun at our Double D ‘Think Spring’ challenge! We hope you’ll come back often. Yellow and daffodils, two of my favourite things! 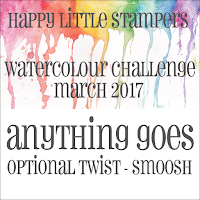 Thanks for joining us at Happy Little Stampers Watercolour Challenge! So wonderful creation and a wonderful design!!! Love the colours you have on this!! Its Perfect!! Oh, how I love the yellow and fresh spring green! 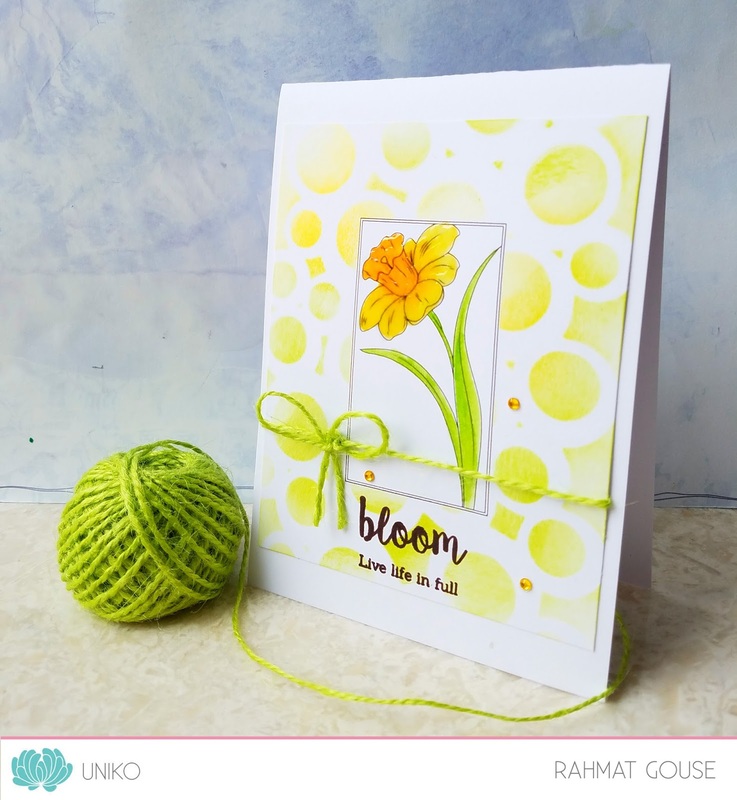 A beautiful card for our spring challenge at Double D! very pretty! thanks for sharing with us at AAA Cards! Such a bright, happy card and love the stenciled background. Really makes me think of Spring with all that vibrant yellow. So happy to see you at Happy Little Stampers!